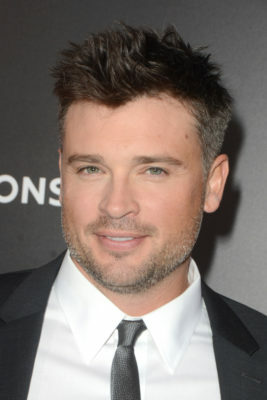 Tom Welling is returning to the small screen. 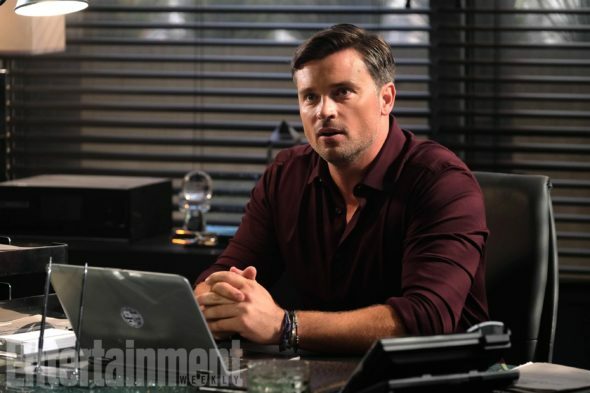 Recently, Entertainment Weekly released first look photos of the Smallville star on the set of FOX’s Lucifer. 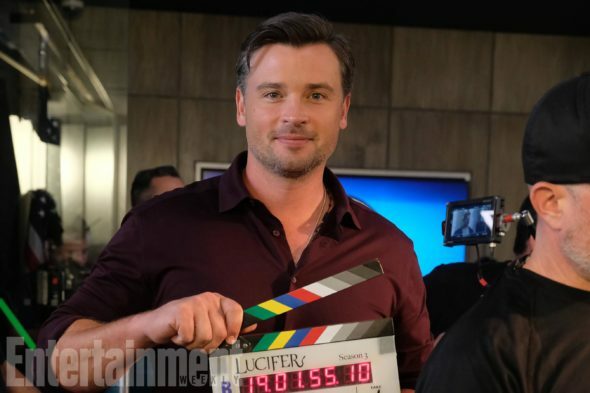 Welling has been cast as “Marcus Pierce, an accomplished police lieutenant who strikes up a potential romance with Decker (Lauren German)” on season three of the DC Comics series. The cast also includes Tom Ellis, DB Woodside, Tricia Helfer, and Rachael Harris. Season three of Lucifer premieres on FOX on October 2nd at 8 p.m. ET/PT. What do you think? Do you watch Lucifer? Are you excited for the new season? This is the most original, funny, smart, and surprising show we’ve ever seen and it must be renewed! It’s the only thing we watch on Fox, so they’ll lose us if this show is cancelled. I don’t watch much tv but I never miss this show.If fox cancels it for season three ,I will never watch fox again. I have loved this show from the beginning! I am dying for season 3. Come October 2!!!!!!! !